We stopped in Calgary for the night to visit with Pete, Jude and their family. They have a great Australian Shepard, Gypsum that takes keep away to a whole new level. 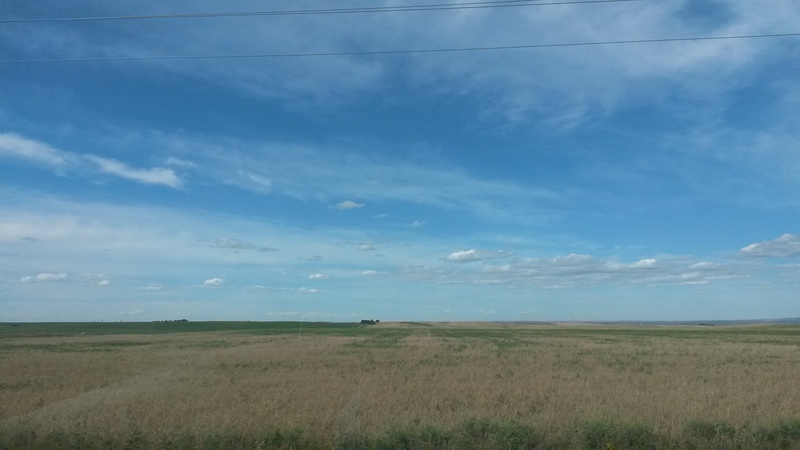 We chatted the hours away and got some great tips on what to see in Alberta as we made our way back to the border. 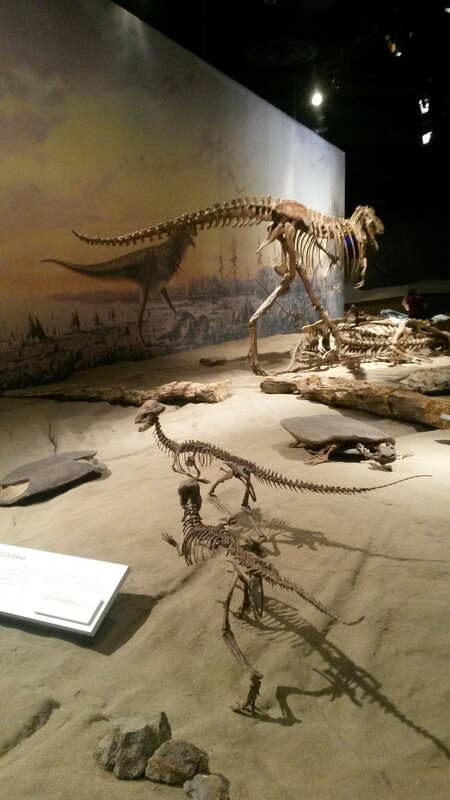 We headed east out of Calgary to Drumheller to visit the Royal Tyrrell Museum, the best place for dinosaurs in the world. 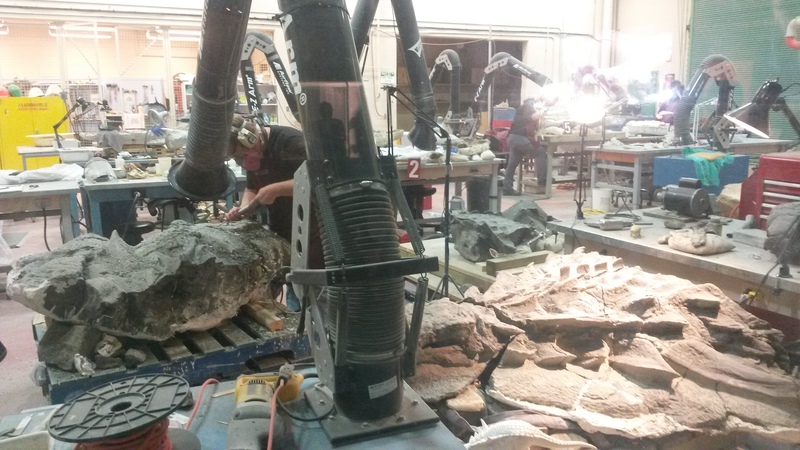 While most places have one or two dinosaur skeletons, this place had hundreds and working on uncovering more in their lab. 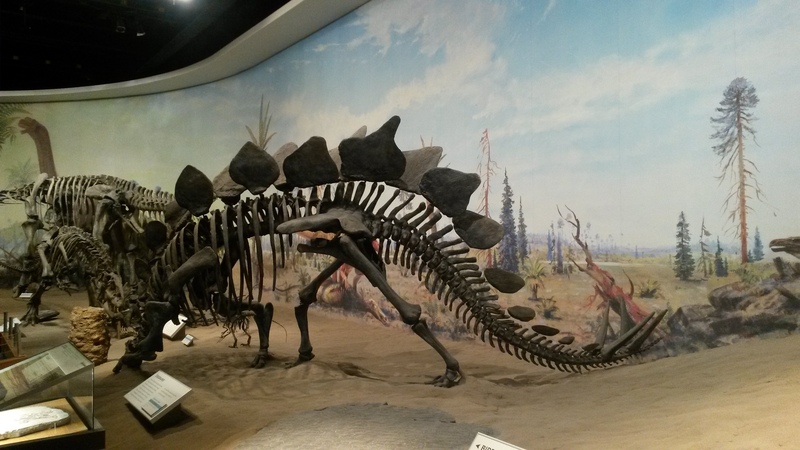 Most of the finds are from within Alberta, and in the last 30 years. 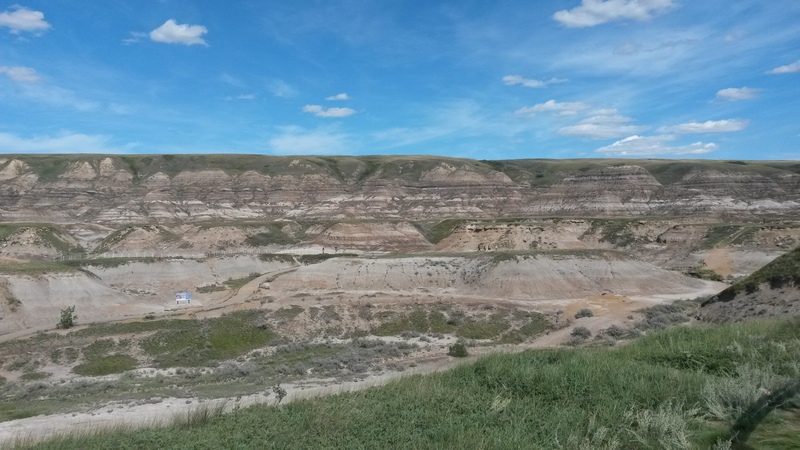 The area around Drumheller is the Alberta Badlands, and looks very similar to the South Dakota Badlands. 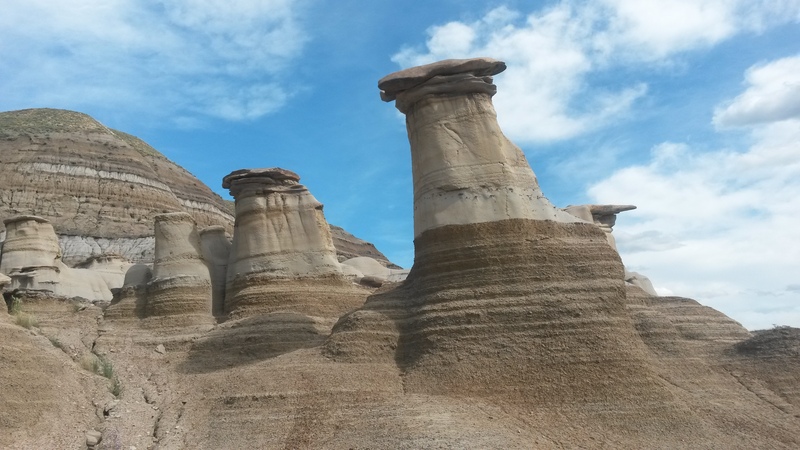 Near the museum we visited some hoodoos similar to the ones we have seen in southern Utah. 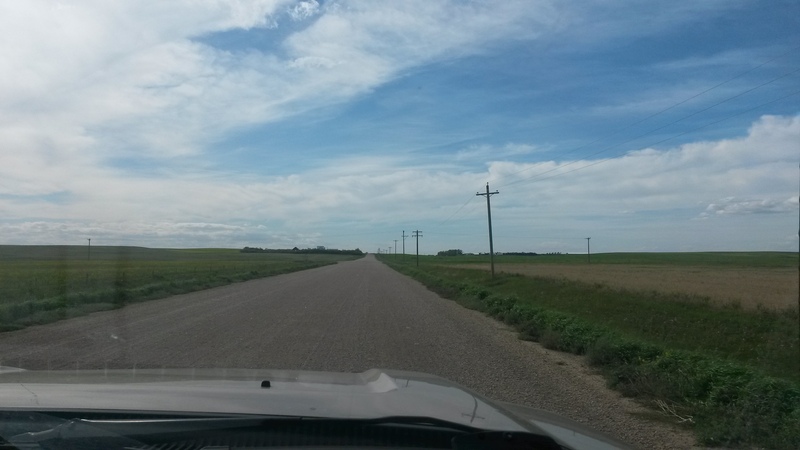 We then drove south through the Alberta farmland area, taking the back roads through the vast countryside. 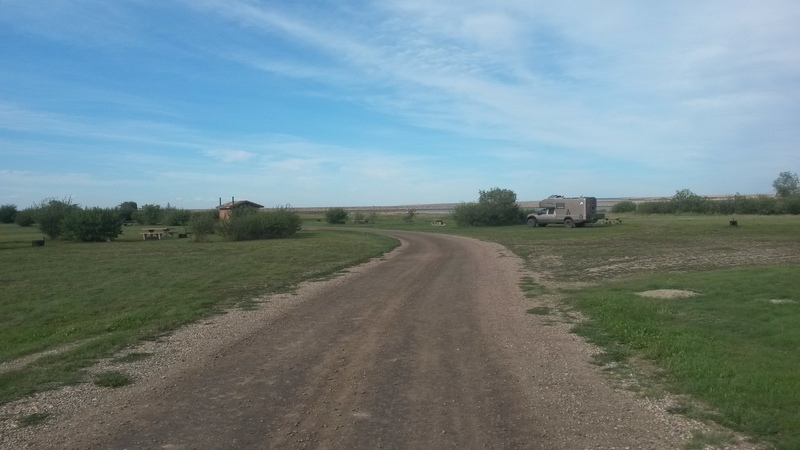 We camped at McGregor Lake Provincial Park. 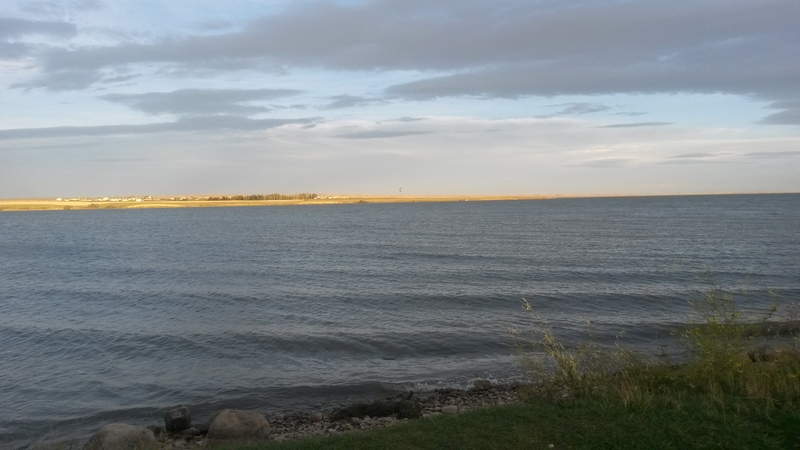 Being a Monday, and the day school started for many of the kids in Alberta, we had the campground on the lake to ourselves. 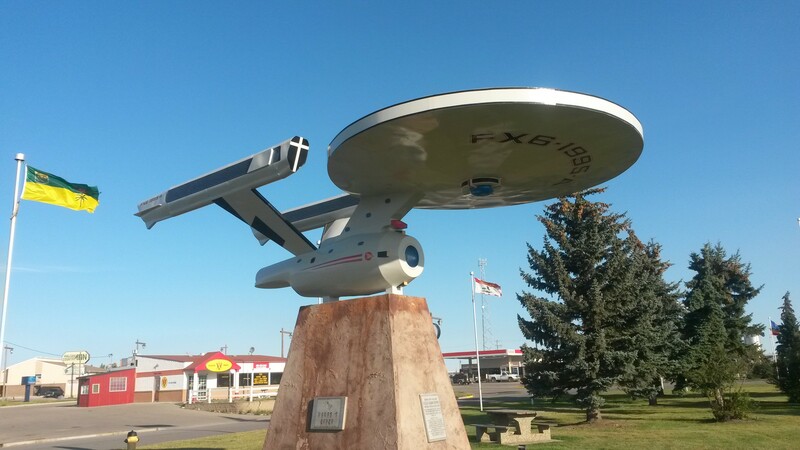 In the heart of the Alberta wheat farms is the town of Vulcan – Live Long and Prosper. They do have a yearly trekkie gathering and many of the cast of the generations of Star Trek have been to the town’s visitor centre. We did note that for the town history log one of the most notable items for the town in 1997 was a new Zamboni – this still is Canada. 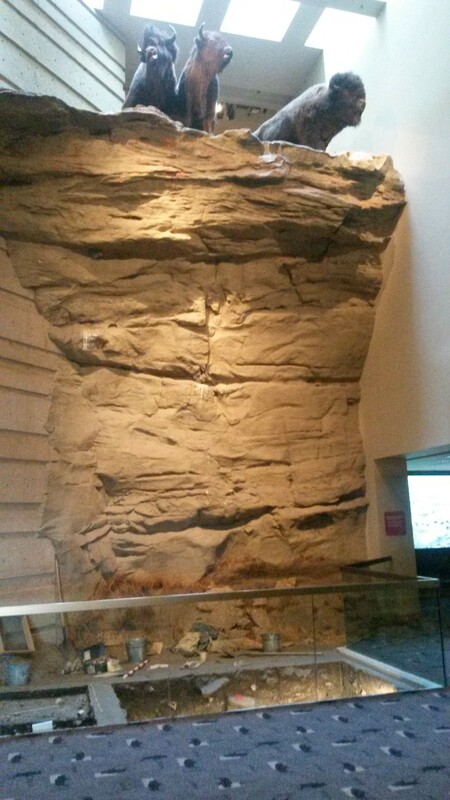 We then headed south to the Head-Smashed-In Buffalo Jump museum. For thousands of years the plains Indians would lead large herds of buffalo over the cliff to feed the tribes for the future. Besides buffalo bones, scientist found tools that date back to 3500BC and even some as far back to 9000BC is the spring nearby. 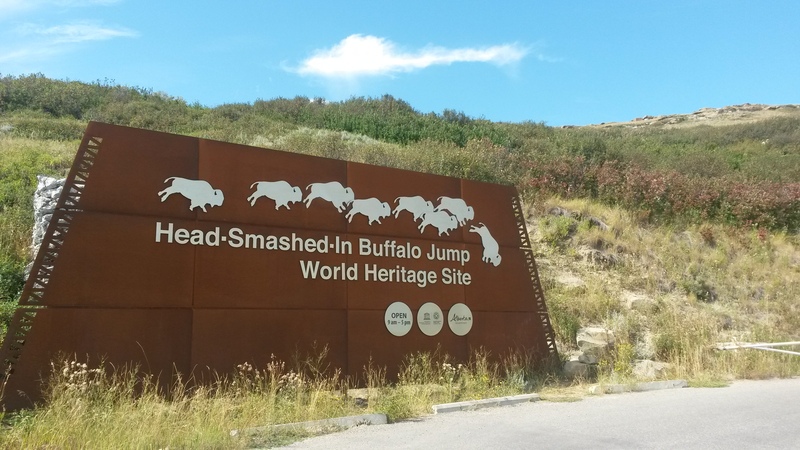 The name was given to a young brave who decided to stand below the cliff and watch the buffalo come over. I guess the first few landed safely away from him but as they piled up he was crushed against the rocks. However, I bet it was a “you’ll shoot your eye out” type warning to prevent any of the young kids from doing this exact thing. 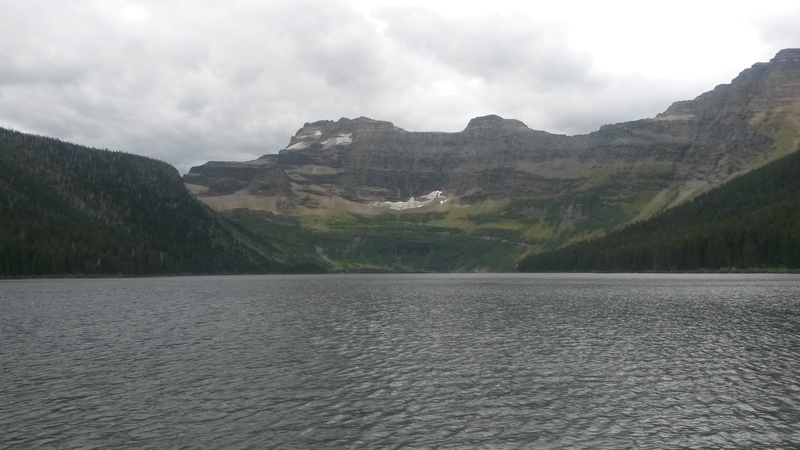 We then continued south to Waterton Lake National Park, the Canadian side of Glacier National Park. 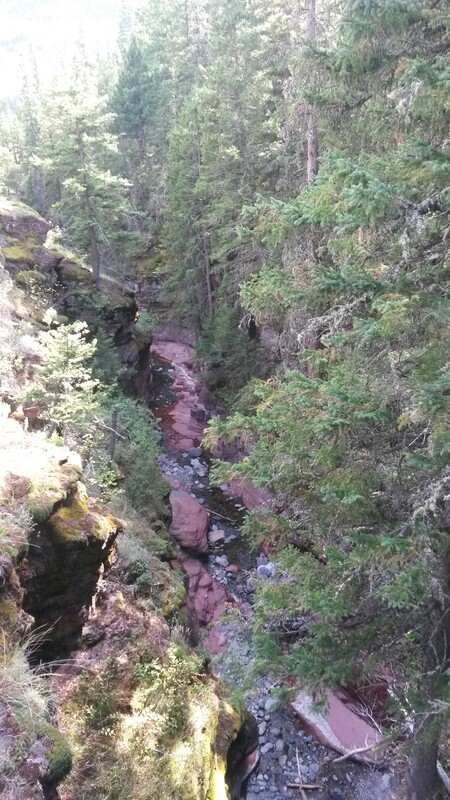 We hiked Red Rock Canyon and to a waterfall within the park. We camped at Crandell Mountain campground in the park for our last night in Canada. The next day we drove to Lake Cameron, where the far side of the lake is in the US. 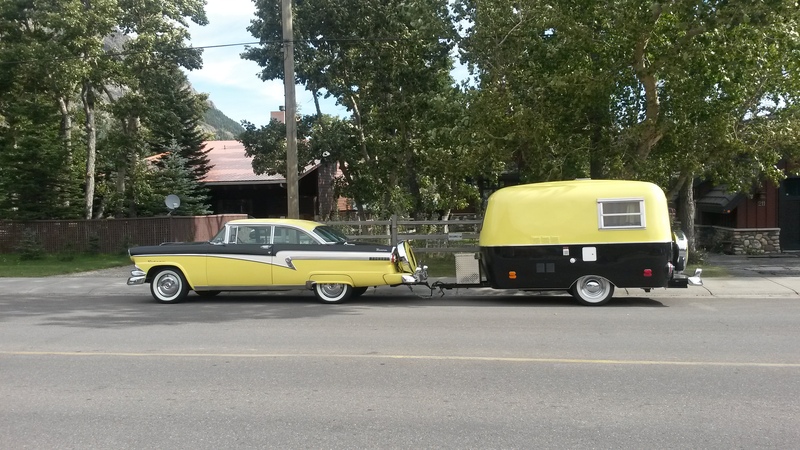 As we drove through the town of Waterton, we saw the best vintage car-trailer combo ever. We also stopped at the Prince of Wales Hotel on Wateron Lake. Although the park was fairly empty, parking at the hotel was limited because they were shooting a Bollywood movie at the hotel. 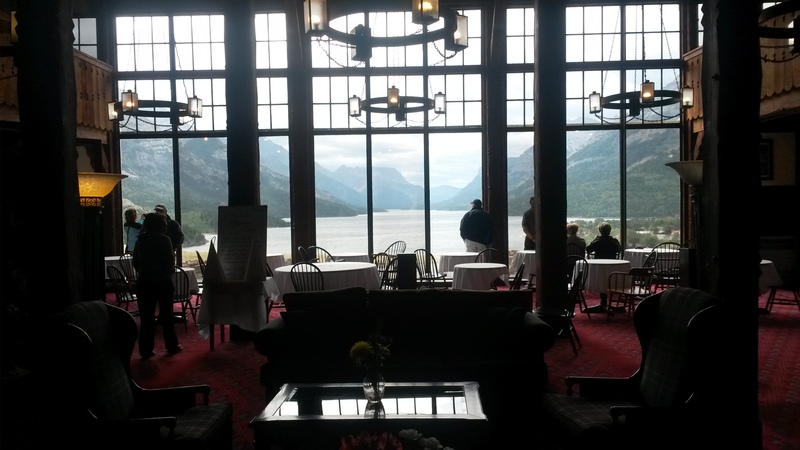 The view inside the lobby was pretty amazing. 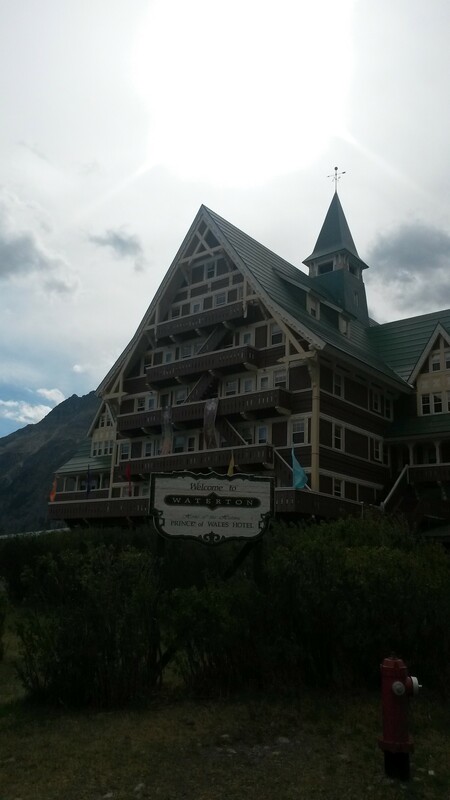 We crossed over into the US after taking three weeks to get from the Yukon back down to the lower 48. 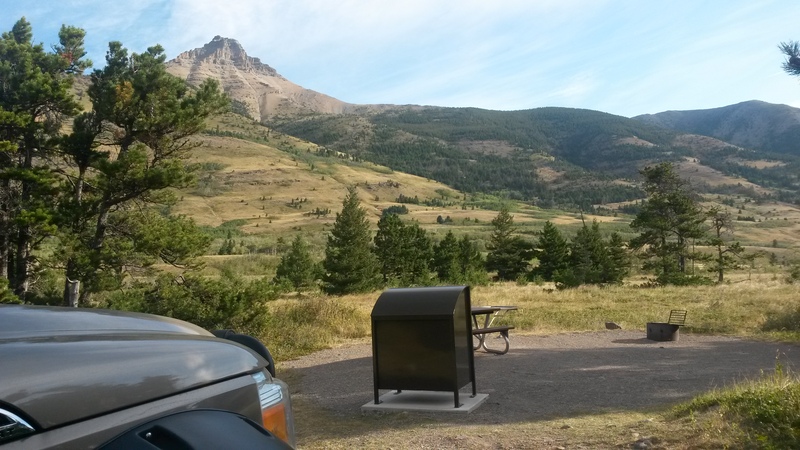 We drifted into the nearest gas station with just 10% of our fuel left and then made our way to Glacier NP. 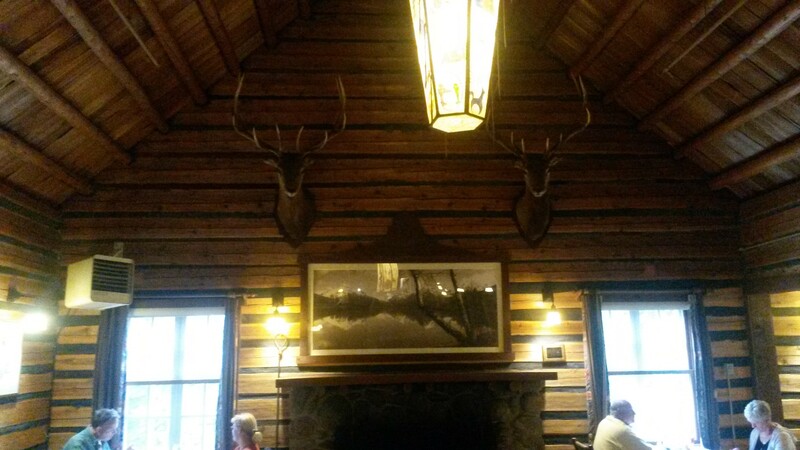 Fire restrictions at the park eliminated the planned charcoal steak option for dinner so we decided to have a nice dinner at the Lake McDonald Lodge instead. 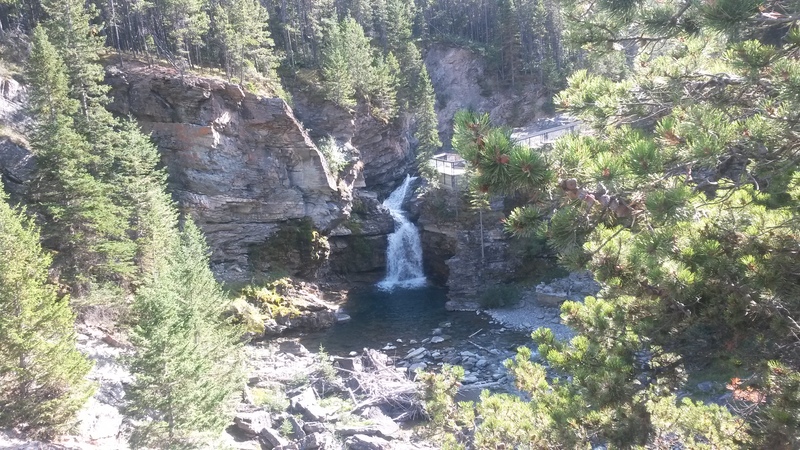 Visiting one of the well known National Parks is so much nicer once school starts. There is just a fraction of the summertime crowd so parking and showing up without reservations is even possible. We camped at Avalanche campground again (we stayed there last year as we passed through this area), which is a first-come-first served campground that fills by noon in the summer. We drove in after dinner around 8pm and more than half of the campsites were still available. I guess the fire smoke and now rain were also factors as to why more folks were not in the park. The next day we attempted to drive to Bowman Lake along the dirt roads through the park. The road was closed about 6 miles into the 30 mile trip due to local fires and the smoke was drifting down the road towards us so we turned around. 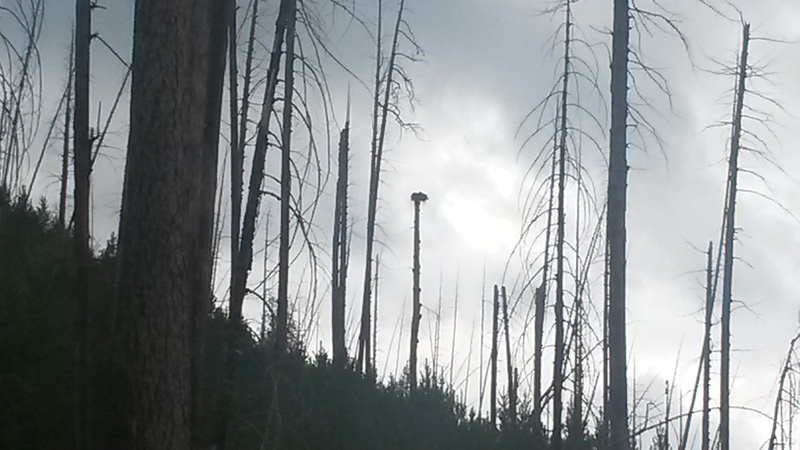 We did spot an osprey nest in an older burn section along the road, and are still wondering how it was balanced up there. We drove into Missoula to visit Pam’s sister’s family. We’ll stock up, clean up and hang there for the Labor Day weekend before heading off again further south.